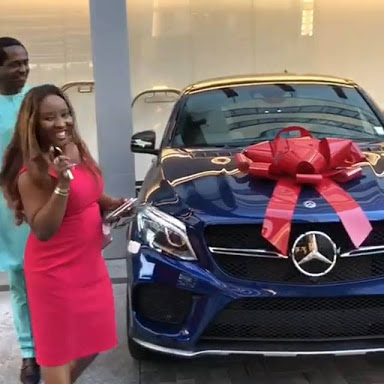 Businessman Tonye Cole, the CEO of Sahara Group, just surprised his beautiful wife with a Brand new Mercedes Benz SUV for staying loyal with him for over 23 years. 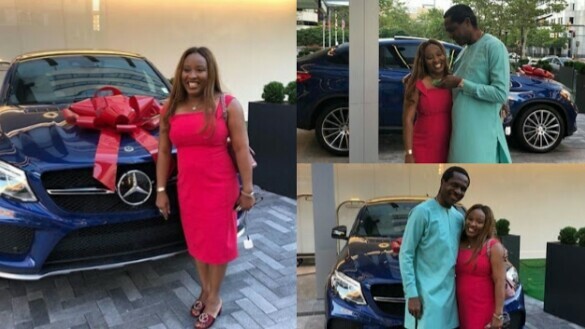 "As we celebrate 23 years together, I want you to know that I have discovered in loving you that my heart is capable of discovering higher levels of love I hitherto never knew possible or existing. There is much to say but let me share this short ode to you, a public declaration of my love to you. How much love can love take? But words have always fallen short where you are concerned. Phrases I love to think of you by. My soul is restored by mere recollection of these few words. Descriptions I cherish when thinking of you. I am confident in the knowledge that our love is genuine. My partner, My companion, My jewel, My pride. Expressions I adore when thoughts of you abate. You are forever my love and eternally my life. Together we shall be and never to part. Nothing can ever take you from me. In dying I live for you alone. The greatest gift of all that God could give.